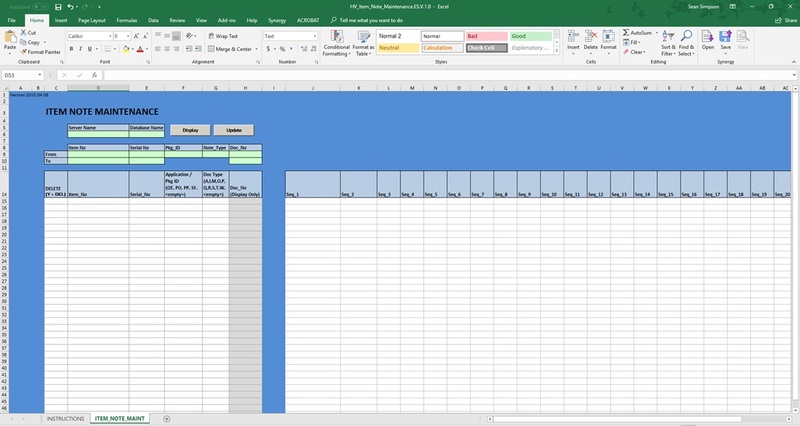 This tool allows the user to extract existing notes, edit them in Excel and Update the notes table in Macola. It can add new records as well as update existing ones. 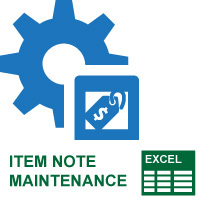 Item Note maintenance tool can be used to quickly apply sequences of text to item notes. With additional features such as seq_1 Title casing and white space removal.